Prince George of Wales is the eldest son of Charles, Prince of Wales and Diana, Princess of Wales. He's Prince William fraternal twin. 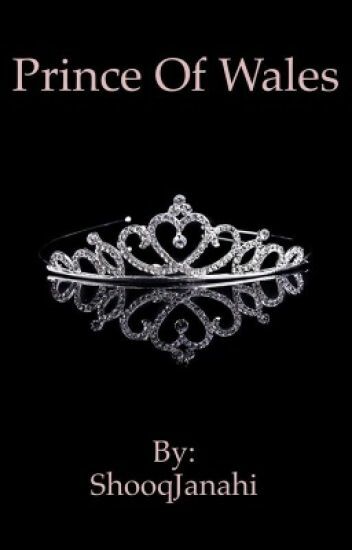 Follow his life as he find love and his life as the second in line to the throne. With Prince Eric's parents on his back about marriage, he begs his best friend, Princess Angie of Wales to help him find a suitable wife in time for a national celebration due to her being nicknamed the royal matchmaker. As the clock ticks towards her deadline, the royal matchmaker finds him the perfect wife -- only to realize that she's fallen in love with him and so has he! Natalie Markle is the little sister of Meghan Markle. Natalie is an actress that is known for her role in the Fast and the Furious franchise. This is the story of Natalie and her journey with fame and love. She is also being thrown into the circus of media because of her sisters engagement to Prince Harry of England. Wihat will happen to cause Natalie to reconsider her choice of being in the public? I was forced to grow up too quickly. While I watched my classmates play and live freely I had to follow some certain rules my Mum set. It all started when I was 9 years old. A woman asked about my Dad and suddenly my mom became paranoid. The morning after that she told me about these "rules" of her. 1.) Questions about Dad was a big NO NO NO. 2.) If anyone asked about my Dad I'd tell them I don't know and leave. 3.) No pictures of mine should be seen on any social media accounts. 4.) I was not to make too much friends in my school. No sleepovers. No Birthday Parties. No going to friends' house. I couldn't understand why. I thought it was unfair of mum. But I couldn't do anything. One night changed it all. One stupid night and I had my stupid answers. This is the story of Tanveer Khan, an M.A. from Presidency College, Kolkata, who lived in Patna with his massive joint family. His father, Waseem Khan, was a merchant who dealt in academic books and their wholesale in Patna, Bihar. His family was an orthodox Muslim family with rules and chains at every step. And celebrations at his house like marriages, birthdays etc was of a now-and-then concern. Tanveer aka Vicky was in love with his cousin, Aisha Saleem Khan. They were childhood sweethearts who grew up admiring each other. It was linient for both of them to be with each other until Tanveer'd to move to Kolkata for his High School studies and further education in 2006. He came back from Kolkata for finally in 2013 only to find that they both have changed a lot and it took both of them some time to get back to normal as they were earlier. Their love story is matter of serious concern for both of them but is taken lightly in their families. Has destiny planned it the way they've dreamt it to be ? What if Prince Charles and Princess Diana had more children? What if their marriage hadn't broken down? What if Diana hadn't died in that fatal car crash at 36? Here's a story, which is one of many theories of what -could've- happened if the marriage survived. Prince Harry has a one night stand with 23 year old Amelia and gets her pregnant what happens when Kate and William meet her? Alexandra Elizabeth Rose Diane , Princess of Wales just turned 11 and is dealing with tween years, two wildly over protective brothers and her parents who never wanted her in the first place. It was a mistake that lead two 20 year old, military Lieutenants and princes to turn into the parents "Lexi" never had. With her two sister in laws as her surrogate mothers and her niece and nephews as the little siblings she never had things are going right it seems. Of course in Lexi world it's wild as ever with school getting harder and family life as crazy as ever.